Ginger, also known as Zingiber officinale, is a common culinary spice that is derived from the underground stem of the Ginger plant. It has a firm, striated texture with a pungent and hot taste. In addition to its uses in the kitchen, ginger has been used for hundreds of years as a herbal remedy due to two volatile oils called gingerol and shogaol. It is also an excellent source of potassium, magnesium, copper, manganese, and vitamin B6. Research has shown that ginger has numerous health benefits including antioxidant, anti-viral, anti-inflammation, and anti-tumor effects. Therefore, it can help treat many everyday problems such as digestive ailments, nausea, motion sickness, stomach cramps, fevers, and colds as well as major illnesses such as high blood pressure, high cholesterol, and possibly even cancerous tumors. Peel and finely chop 1/4 inch of fresh ginger. Add the ginger to 1.5 cup of water in a saucepan, and bring to a boil. Continue boiling until there is approximately 1 cup of water remaining in the saucepan. Strain the tea into a cup or mug and enjoy. If you find the taste to be too strong, add honey as a natural sweetener. Take this tea twice daily until your allergy symptoms are relieved. The anti-inflammatory properties of Ginger have been found to reduce the inflammation and pain that are associated with Osteoarthritis and Rheumatoid Arthritis when consumed on a regular basis. 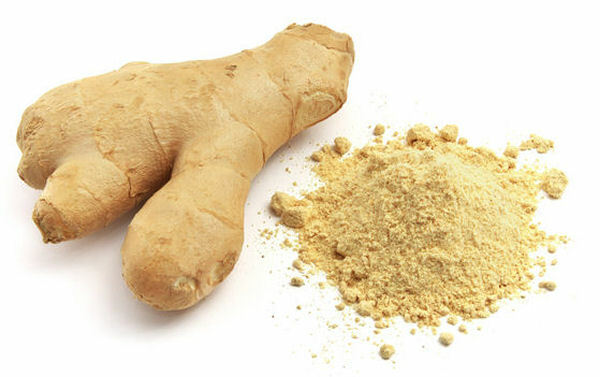 Therefore, a simply Arthritis remedy is to consume 1/2 inch of peeled and sliced fresh ginger with each meal. Peel one inch of fresh ginger. Grind the ginger and squeeze the juice out of it into a small cup. Mix 4 tablespoons of honey into the juice. Take half a teaspoon of this mixture twice per day. Ginger has been shown to help lower cholesterol levels. Therefore, a simple remedy is to take one cup of Ginger Tea in the morning and one in the evening (see above for instructions). Another option is to simply take 1/2 inch of peeled and thinly sliced ginger, and add it to every meal as a seasoning or spice. Studies have shown that ginger is effective at reducing the severity of nausea and vomiting. The active components of ginger (gingerol and shogaol) accomplish this by helping the body produce more digestive enzymes that neutralize the acids in our stomach that often lead to nausea. Therefore, a simple remedy for treating nausea is to drink 1 cup of Ginger Tea (see above for brewing instructions). Ginger is usually not a common allergenic food and therefore it is not known to have any adverse side effects if it is taken in moderate dosage. However, precautions must be taken if you are taking any medication for blood clotting, diabetes, gallstones, or any other disease of the gallbladder, since the nutritional properties of ginger may interfere with the medicine. Fresh ginger can be bought at almost any grocery store or organic food store. When buying ginger, look for smooth and firm stems with few wrinkles, and be sure to verify that there is no mold growth. If you don't like the taste of fresh ginger, supplements in tablet or capsule form can be bought in many health food stores. You can also find ginger in dried/powered form or as tinctures or tonics. However, many nutritionists recommend using fresh Ginger since it typically has more healing properties. 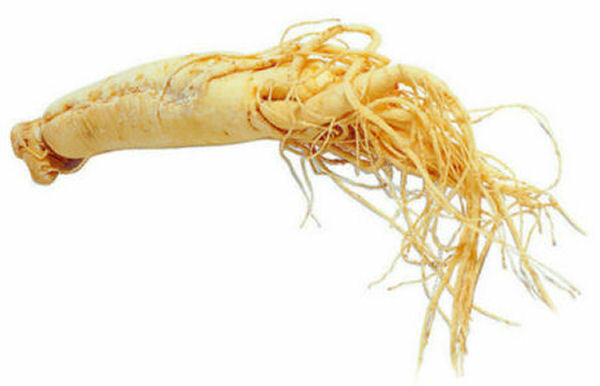 This amazing root helps boost energy levels and mental alertness. This is all the more reason now to add ginger to any of your meals as well as the drinks. Thanks for elaborating more benefits of ginger and why people must take it into consideration when meal planning. Anytime my stomach gets upset after eating heavy foods (or Too much food! ), I take a ginger capsule, and it soothes my stomach VERY quickly! I take natural ginger drink to work with me to sip it through out the day. Also, you can juice a lot of it and freeze it in an ice cube tray, and then defrost a shot each day. It helps a lot with my allergies and headache. Amanda Scharf, Yeah, Vita Mix would do the job. If you don't like ginger's stringy fiber in the juice, simply strain/squeeze the blended ginger. I always use my blender to juice ginger. Is it okay to make a ginger shot in Vita mix machine until I get a juicer? ALLERGIES? Just juice the stuff with a masticating juicer, and take about 1 oz (a shot glass) of ginger, add some freshly squeezed lemon juice, and apple cider vinegar (Bragg's) and drink it by the shot. It goes down like a shot of whisky, if you enjoy that sort of thing. Masticating juicers are the juicers that juice at low speed. I don't think it'd work in a centrifugal juicer. Also, you can juice a lot of it and freeze it in an ice cube tray, and then defrost a shot each day. I need to know about a good natural antihistamine that works. I can't take traditional antihistamines or vitamin C.
I take a few slices of fresh ginger root and boil it, add honey and store it in the fridge in a large water bottle to cool over night. I take it too work with me as a natural ginger drink to sip it through out the day. I also leave the boiled ginger slices in the water so when I want I can chew them as a candy. It helps alot with my allergies and headache. Thanks for great information but I would like to know what's the best times to drink/eat ginger? I love ginger as a natural upset stomach soother! Anytime my stomach gets upset after eating heavy foods (or Too much food! ), I take a ginger capsule (from Nature's Way--a very good brand), and it soothes my stomach VERY quickly! This is much better for you than taking nasty old "Pepto-Bismol," Alka-seltzer or any anti-acid crap, like Tums! Thank you and I always noticed ginger helped clear my head and chest of congestion. I will use more fresh ginger in my everyday cooking.